It’s said that food is a highly emotional affair so if it’s a question of where sells the best rendition of a Singapore hawker delight, it probably takes a lot of self-control to maintain a calm debate. 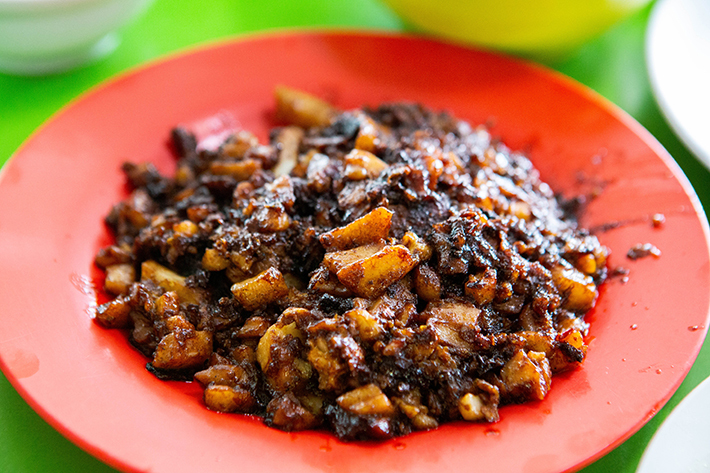 One local favourite that could spark off such a heated discussion is the humble chye tow kway (fried carrot cake). To say which stall can satisfy the toughest tongue is a challenge but if you’re looking towards the East, we know that Song Zhou Luo Buo Gao is one that many will fondly rave about. This hawker stall has been anchored in Bedok Interchange Hawker Centre even after the hawker centre revamped, proving Song Zhou to be one of the hot favourites there. A plate of fried carrot cake from them satisfies major cravings. 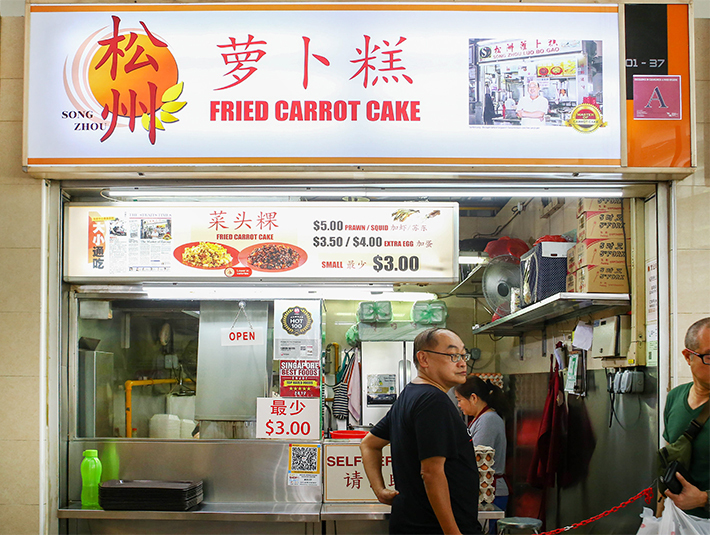 While they used to only sell white carrot cake, they started to fry black ones too to suit the tastes of the younger crowd. 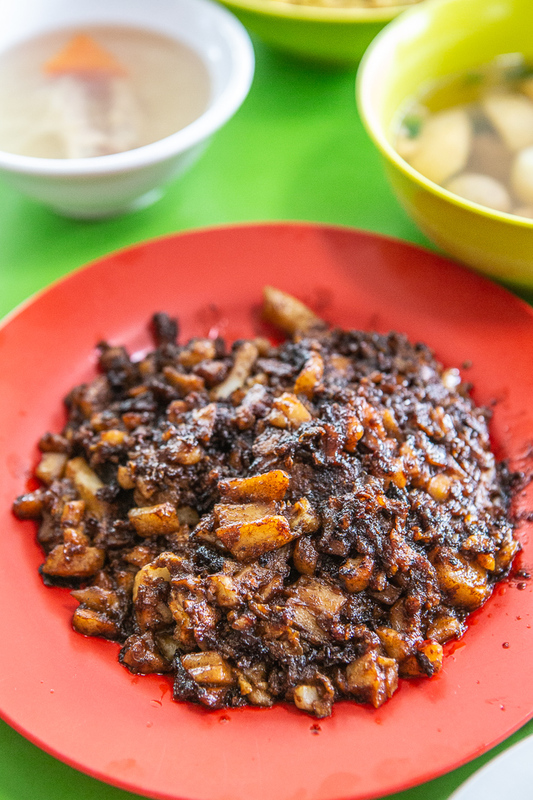 As most would recommend from Song Zhou, we ordered their Black Fried Carrot Cake (S$3). Garlic and chye por (preserved radish) were stir-fried together till fragrant before pieces of carrot cake were added. Egg batter was then poured in to fry with sweet black sauce and fish sauce. While the owners of Song Zhou no longer make their own carrot cake, they still add special ingredients to make them softer. 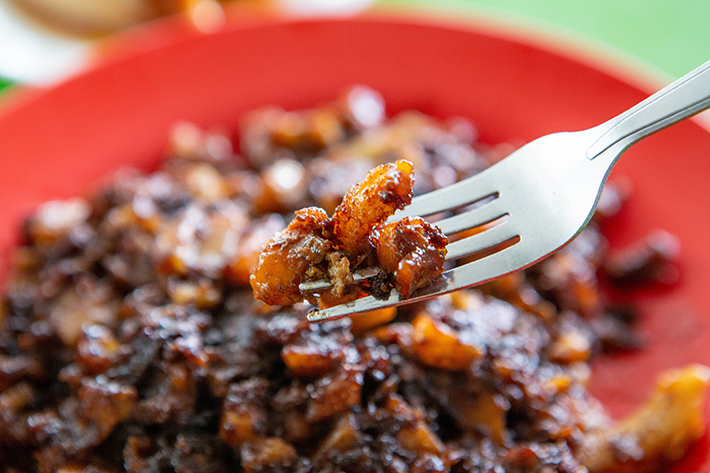 The carrot cake was cut into small cubes which let the black sauce coat the heaping disarray pretty evenly. The caramelised edges of the carrot cake added to the fragrance. Although it was heavy on the sweet sauce, the generous eggs gave the dish some savoury balance. Order their S$3.50 or S$4 plates for an extra egg or get their S$5 options of either prawn or squid.